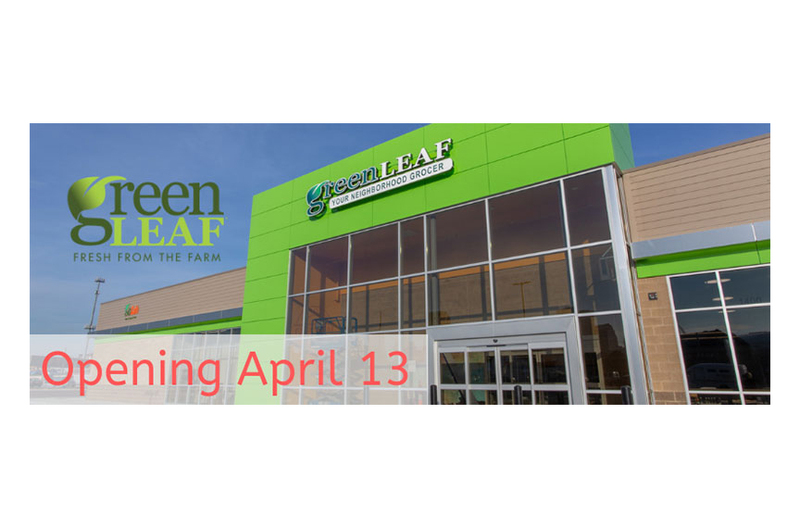 GreenLeaf Market‘s new store in the NorthSide Regeneration development in north St. Louis opens April 13. A grand opening celebration was scheduled for 10 a.m.-3 p.m. A ribbon-cutting had been held April 1 at the soft opening for the store. “I want to personally welcome GreenLeaf Market to St. Louis. You are vital piece of the puzzle that is helping NorthSide Regeneration lift up this neighborhood that has been overlooked and underserved for far too long,” U.S. Congressman William Lacy Clay, Jr. (D) said at the ribbon-cutting ceremony. The 20,000-s.f. grocery store is at the corner of Tucker Boulevard and 13th Street in north St. Louis. The store will be open 7 a.m. to 9 p.m., Monday through Saturday, and 9 a.m. to 8 p.m. on Sunday. The grand opening celebration will feature free samples, a fill-a-basket food drive for needy families in the community, and drawings for free groceries. Giveaways will also be held for free gas and car washes from the new ZOOM Convenience Store across the street. GreenLeaf Market is locally owned by St. Louis Grocery Group, in partnership with Good Natured Family Farms, a cooperative alliance made up of 150 family farms located in Missouri, Illinois and Kansas. The market features locally and regionally-grown produce and meats and an array of unique items. The store also features a state-of-the-art kitchen managed by an experienced, on-site chef focused on creating farm-fresh, nutritious and fully-prepared grab-and-go food selections. GreenLeaf Market, which created 72 full- and part-time job opportunities for local residents, plans to offer convenient curbside pick-up for online orders to better serve the needs of commuters and people working downtown. NorthSide Regeneration is a mixed-use community development. The original development encompasses more than 1,500 acres and borders downtown St. Louis. Developers have a goal of creating 22,000 permanent jobs generated by the development’s activity.